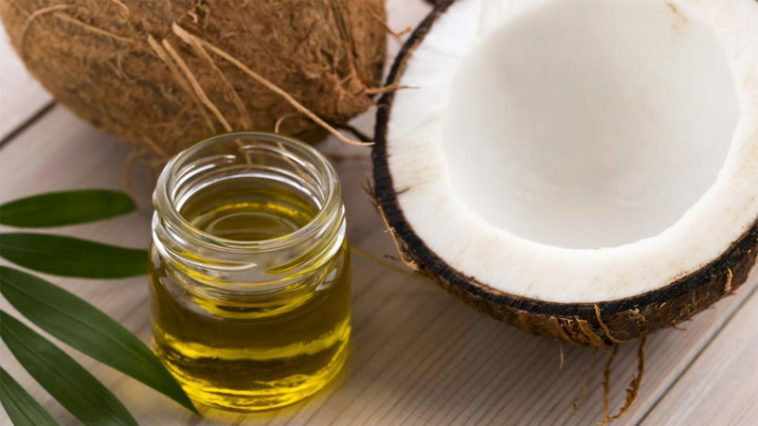 Home » MCT Oil: What’s the Benefits & Side Effects? Worth a Try? MCT Oil seems to increase in popularity amongst athletes by the day. 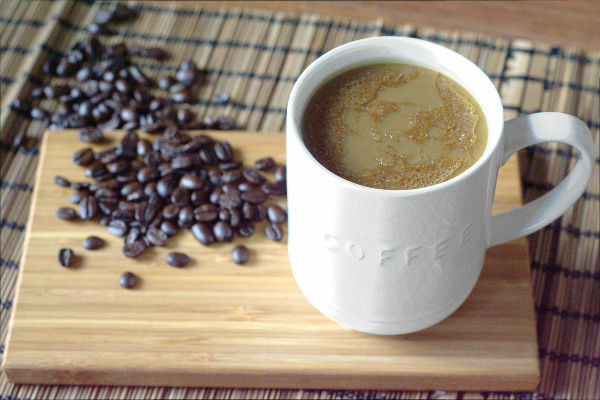 Bros are throwing it into their bulletproofed morning coffee, powerlifters are chowing it raw, and even top trainers are supplementing with the yellowish stuff. But what’s the big deal about it? What are the apparently amazing benefits people keep talking about? Is it all true, or a just well-marketed sales gimmick? As always, there’s only one way to find out. Somebody has got to go in hard on the studies and nail down some facts. Trends come and go quicker than New Year fitness resolutions on a planet made of donuts. What’s hot today is tossed into the trash as bullsh*t tomorrow. It’s simply just the way the workout world turns. So, for this reason, we’ve decided to put together a longer, more in-depth article delving balls deep into the MCT Oil situation. Take what you can from this piece, chop it, change it, set fire to it if you want. It’s here to educate and not dictate so you can make your own mind up on. Hopefully, when we’re done here you’ll know whether to believe the hype or not. You right now: MCT WTF? Let’s break down exactly what MCT oil is, the benefits it provides, and ultimately if it’s worth trying. First up, we’ll discuss what MCT even means. Because like everything longwinded, it makes sense to abbreviate this sh*t.
MCT stands for medium-chain triglyceride(s). They’re a type of saturated fatty acid that’s said to do awesome things to the body (more on the benefits in a moment bro, we’re not quite done with the introductions). 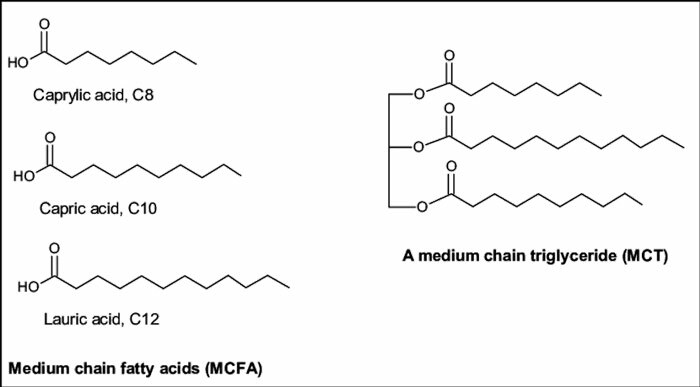 You may also hear of MCTs being named MCFAs, which is another anagram accounting for medium-chain fatty acids. It’s said that many westerners are missing MCTs/MCFAs in their diet due to a common fear of fat. Unfortunately, this myth has done a lot more harm than good. Media has always influenced the way people eat, and it has led most of us to treat fat (especially saturated) like a jean stretching devil incarnate disguised in a tasty form. But guess what? MCTs are indeed saturated fats (cue classic horror scream). But there are cultures all over the planet that eat them every day and are doing just fine. If we’re being personally honest, they’re probably a lot healthier than the average American is. The most common sources of MCTs for us westerners is the oil itself, coconut oil, and palm oil. All three of which can typically be picked up off the shelf from a store. Back when your dad had a mullet, the band Fleetwood Mac was a pretty big deal. They sang this song with the hook line, “chains keep us together”, which is still a banger, and perfectly describes the chemical structure of fatty acids. Fatty acids consist of carbon and hydrogen molecules connected to each other like a tiny microscopic string. Depending on how many carbons are present, they’re either categorized as; short chain, medium chain, or long chain. Unfortunately, millionaire rapper 2 Chainz doesn’t make the list. MCTs have at least, like, three times more than he does! What is that guy even playing at, he needs to raise his chain game ASAP? Bro, you’re a jacked up son of a b*tch, right? So you know that size always matters, no matter WTF we’re talking about. If you’re reading this thinking that some chick’s told you otherwise, bruh, she’s straight up lying. Sorry to break it to you like this. Maybe buy a ridiculously loud motorcycle or huge truck to make up for, erm, certain inadequacies – that sh*t definitely works. Just kidding, back to the science stuff. Apparently, bigger isn’t always better when it comes to breaking down fatty acids inside our body. Additional length is just downright inconvenient. In order for us to utilize long-chain triglycerides, we have to go through a long and arduous digestive process. Rather than tackle 6 chains like those found in MCTs, our digestive system has to take out at least 12. That’s twice the amount for those who skipped math to fit in an extra Bi-Tri superset workout. Even Frodo didn’t have to go through half the bullsh*t we do to sort out LCTs. And that dude walked to freaking Mordor bare-foot. Who’d have thought digestion could be so hard? Plus, to make matters worse, dietary LCTs are structurally similar to the fats we store on our bodies. Therefore, eating them in excess significantly may raise the chance of us piling them away into our reserves. Disclaimer: Fats are still an important part of keeping a bro at his best. Just be intelligent about which ones you eat and in what amounts. However, on a more positive note, MCTs are much easier to handle. Because there are only 6 chain links long, they take considerably less effort to break down. Consequently making the process a whole lot faster. Rather than going on an insanely long trip to the lymphatic system, MCTs fast track to the liver. When they arrive, they are metabolized and thus releases energy, just like a carbohydrate might. But instead of glycogen, which you’d get from carbs, ketones are created. It’s these ketones that can be used by the body as energy, as they are a great source of ATP. You’ve probably heard of ketones before as they’re the primary energy source called upon during ketosis. This is a state we fall into when there are limited carbohydrates available, resulting in the body turning to fats for energy. Yet you don’t actually have to go keto to utilize ketones. By ingesting MCTs, and triggering the creation of ketones, we can use them right away without having to cut out our carbs. For many of us in the athletic population, this could be a good thing. We get the fast acting energy benefits of ketones, without having to deplete our glycogen stores. Cool, right? You’ve made it this far so you deserve to get the good stuff. It just didn’t make sense to throw out all the benefits without first explaining what the hell MCT(s) and MCT Oil are, to begin with. If you’re anything like us, you like to know exactly what may be going into your body. We’re not going to say our body is a temple. Well, unless it was one of those gigantic Mayan style ones that naked hot chicks who bloodily sacrificed skinny newbs on top of worshiped at. Let’s pick each one apart to see if the hype is real or overrated. Apparently, MCT could improve your performance if you’re into endurance sports. There isn’t much evidence to support this claim, but there is this one carried out on competitive cyclists. Simply put, when MCTs were supplemented into the diet of the cyclists their carbohydrates used as fuel and oxygen consumption decreased. This meant that the medium chain fats improved their performance relative to how hard they were working. But, as there isn’t exactly a mountain of other evidence supporting this claim, we shouldn’t get too excited. There should really be multiple studies that back each other up before we begin to declare something as fact. We’ve already tackled how MCT oil can be broken down and digested easily. But does everything manufacturers say about aiding weight loss ring true? Unlike widely researched thermogenic fat burning compounds or testosterone boosting nutrients, there aren’t many worthwhile studies that looking into MCT oil for fat loss. Pretty cool, right? But we have to always take on board that this study is in no way giving MCT the green light. Notice the word “may”, meaning that MCT oil might be beneficial, but isn’t outright proven to be. Let’s also not dismiss the chest kicking elephant in the room. As the white lab-coated bros state, there are studies showing a negative link between MCT oil consumption and cardiovascular disease risks. Yikes! Maybe gulping spoonfuls as a new pre workout isn’t such a good idea after all. Plus, the research into MCT oil for weight loss isn’t that conclusive anyway. If we were to give it a SpotMeBro strength rating, it’d probably be more on the lower end of the spectrum. Somewhere near celery chewing vegetarian weirdos or dudes who wear weightlifting gloves on soft-handle machines. It appears that even the experts aren’t too sure, bro. Although they’re saying that MCTs could potentially help you get ripped, we simply need additional studies to confirm it as fact. Now, when we’re looking to cut up for a comp or just to look mean on the beach, we gotta torch fat. That’s a given, right? So obviously we’ve got to enter what’s known as a calorie deficit. Only when we are burning more energy than we consume can we lose weight via reduced non-lean mass. Without ducking down into a deficit, our bodies will not go looking for energy in our fat stores. With MCTs coming in at 8 kcal per gram, by consuming them as a means of energy or as a fat loss ingredient, we’re potentially taking on a lot of calories. So, rather than reaching for the MCTs every time, we could probably get equal or better results from going old school. By eating a highly nutritious balanced diet that lies safely under the number of calories required for maintenance. The Thermogenic Effect – Do MCTs really bring the fire? Another so-called benefit of replacing that bottle of extra virgin with MCTs is the thermogenic effect. 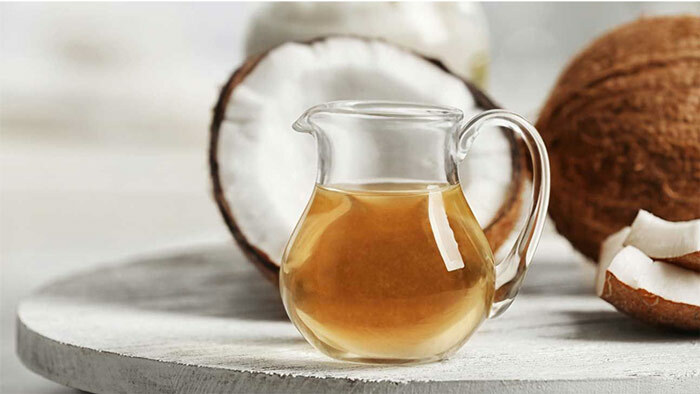 Apparently, according to the MCT marketing teams, drizzling coconut oil (a very popular MCT source) into your pan will get you burning through fat like never before. Again, the only way to know for sure is to hit the lab again. Fortunately for us, a bunch of researcher type bros from the Czech Republic already did. Feel free to check out their insightful study. What they found was that when 15 ml of MCTs were added to the diet of obese people, their daily energy expenditure went up by 130 kcal per day. Which is pretty cool, especially considering the 60 test subjects lost weight too. Yet, before you start stockpiling coconut oil like a total doomsday prepping lunatic, listen up! There wasn’t actually any difference in weight loss between the MCT troops and the control crew. Most probably because in the grand scheme of things, 130 kcal isn’t a lot of energy. It’s not even quite 80 grams of a plainly grilled chicken breast. MCT Oil Alternatives – So, is there anything better out there? Let’s be real for a moment. Not many people are adding MCT oil into their diet because they love the taste. In fact, there’s hardly any taste at all to the stuff. Coconut oil has more flavor, but still, the evidence suggests it’s not exactly hitting home runs every time with health benefits. When it comes to weight loss and fat loss, in particular, it’s better to trust the science. There are so many studies out there shedding light on the fat melting properties of thermogenic foods, they’re probably your best option. So, rather than splash cash on the latest brand of MCT oil hanging from the health food store shelf, look for something better researched. As it stands there just isn’t enough evidence to back up the often over-confident claims put out by MCT companies. That’s why we’d recommend considering a rigorously tested fat burning supplement or testosterone booster instead. Surely it’s better to put your hard earned money behind the science? Our go-to fat burner is and will always be Instant Knockout. It is safe, effective, and doesn’t rely on aggressive ingredients or proprietary blends to get results. As the name suggests, Instant Knockout was specifically designed to make the grueling weight cutting process of professional MMA easier for fighters. Today the supplement is officially endorsed by successful UFC competitors and coaches, alongside other top fitness athletes. But you don’t have to be a pro to reap the many rewards. 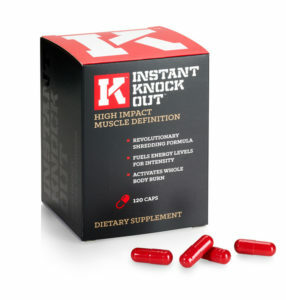 Instant Knockout is created using all-natural compounds that are been proven to aid weight loss in everyday people too. There’s no gimmick to it, the guys who create it lay out every single dose and mg of each ingredient for the world to see. So rather than trust a proprietary blend of who-knows-what, we put our trust in Instant Knockouts transparency. When bros are looking to shred up for summer, they might be looking at their fat thinking it’s all food. Most of the time they’re right and that tasty AF dirty bulk has come back to haunt you with stodgy love handles and a third chin. But, did you know that low-testosterone levels might be at play too? After all, bottomed-out T can lead to a significant increase in body fat and an overall decrease in lean muscle mass. 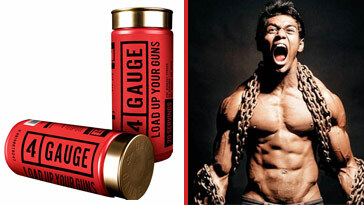 That’s right bro, wrecked levels will snipe away those gains like a headshot from hormone hell. One of the worst parts about it is, once your obese, your testosterone is likely to plummet anyway. 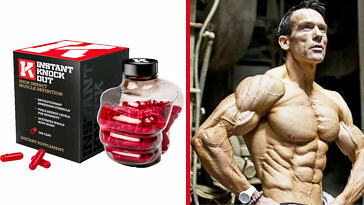 Essentially meaning you’re less likely to pack on slabs of muscle and more inclined to continue your downward spiral. 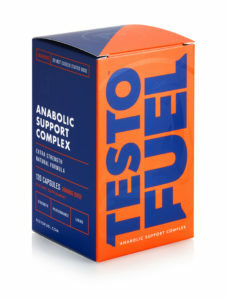 That’s why we fully advocate the use of an all-natural testosterone booster. Notice we said all-natural because in no way are we telling you to reach for a needle. That’ll lead to even worse complications further on down the line. 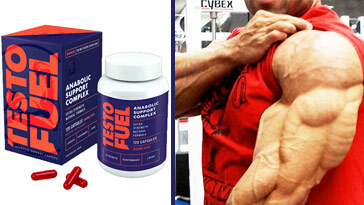 If we were to recommend just one, we’d say grab a bottle of TestoFuel. Rather than aggressively ramp up your hormones or synthetically replace them, it simply reclaims balance. Before you know it your T will be back to optimal alpha-f*cking male levels. Giving you the beastly power and energy to build muscle, whilst cutting through fat on your quest to an Adonis-like physique. MCT Oil is a medium chain triglyceride fatty acid that digests quickly inside the gut. 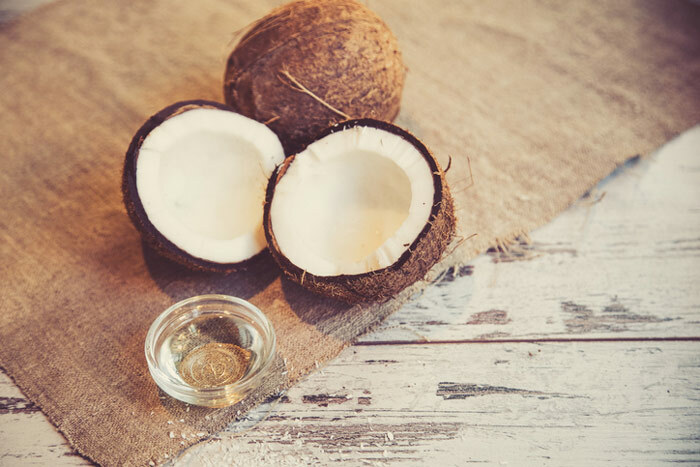 MCT oil can be bought off the shelf as it is, but can also be found naturally inside coconut oil and palm oil. Rather than go through the long process that LCTs do, MCT oil goes straight to the liver where it converts to ketones. Ketones provide the body with energy and act very similar to glucose. There may possibly be enhancements to performance in endurance sports when athletes consume MCT oil. As it stands though, there is not enough supporting evidence to outright declare this claim as truth. Research also suggests that MCT oil may be beneficial for weight loss amongst other things. However, scientists say that there aren’t enough in-depth studies into the effects of MCT oil to conclude this as fact. Therefore, supplementing your diet with MCT oil does not appear to be essential for fat loss. But including it into an already varied and balanced diet could bring about additional health benefits. Just be careful not to overdo it because, at a high 8 kcal per gram, MCTs can take up a large chunk of daily calories. Meaning weight loss may be impaired if your MCT consumption goes unmonitored.